How can I clear forecast override information? To remove forecast override information that was previously entered, go to the Edit Forecast screen from the left side menu. Use the search or filter to view the set of variants you want to update. Select items you wish to update. 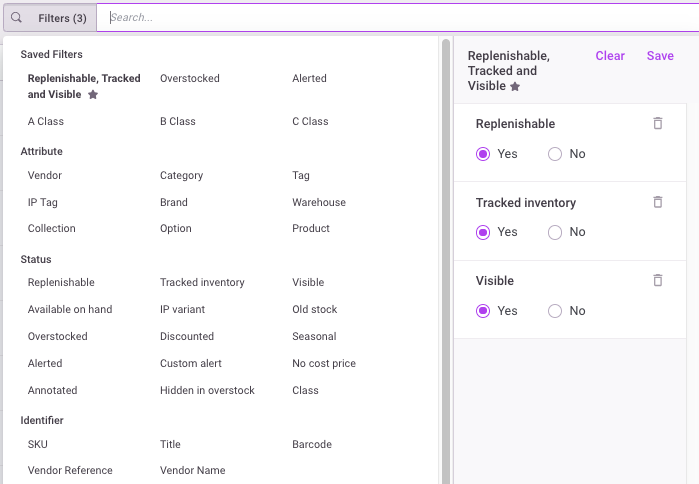 Note: The checkmark next to a product will choose only that item. The checkmark inline with the column titles will select the page. To select subsequent pages, click on Select All. 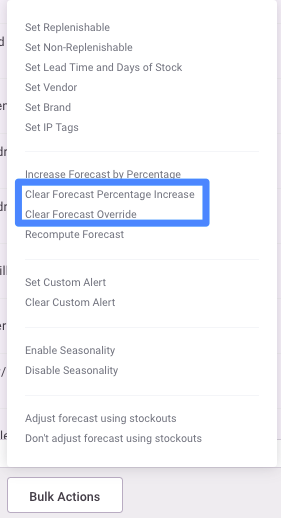 Click on Bulk Actions, then either 'Clear Forecast Percentage Increase' if you had entered percentage changes, or 'Clear Forecast Override' if you previously changed unit forecasts.